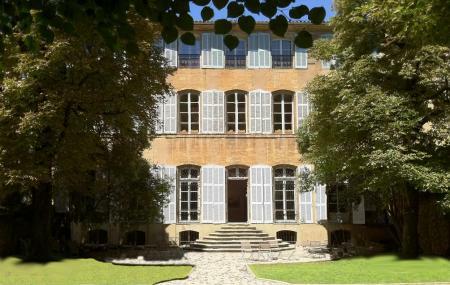 Located near the Cours Mirabeau, Hotel de Gallifet is set in a 17th century home and has exhibitions dedicated to modern art. There is also the old stone which inspired famous Aix-en-Provence painter Cesanne throughout his youth. The petite garden, a charming bookstore and a pleasant tea-room add to the allure of the visit. Love this? Explore the entire list of places to visit in Aix-en-provence before you plan your trip. Fancy a good night's sleep after a tiring day? Check out where to stay in Aix-en-provence and book an accommodation of your choice. How popular is Hotel De Gallifet? People normally club together Cours Mirabeau and Aix En Provence Tourist Office while planning their visit to Hotel De Gallifet. Nice place, I recommend checking it. There is a restaurant but I didn't had time to try it. Exposition was nice and the building it's in was great.